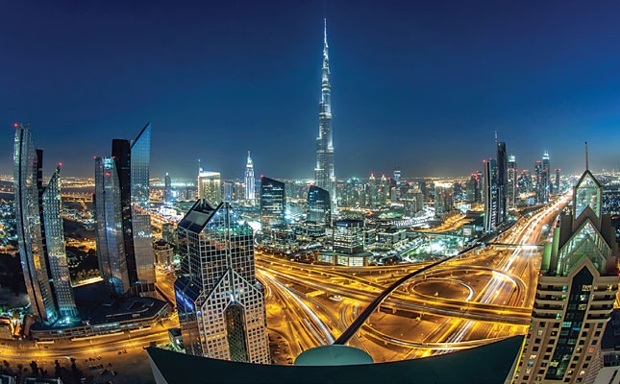 With Expo 2020 just four years away, Dubai’s hospitality sector looks set to witness impressive growth, supported by high occupancy rates and significant expansions from reputed names in the hospitality market. Preparations for the world’s fair are acting as a catalyst for growth within the UAE’s hospitality sector. According to a forecast by Alpen Capital, hotel-room supply in the UAE will increase by 5.3% annually during the period 2012-2016, boosting volume from 96,992 hotel rooms to 125,383 by 2016. This level of growth will be necessary if the country is to deal with the anticipated influx of tourists. For example, InterContinental Hotels Group (IHG) has signed an agreement with Al-Futtaim to manage the largest Holiday Inn in the UAE. The 520-room Holiday Inn Dubai Festival City, a mixed-use waterfront project, is expected to be completed towards the end of 2017. Touted as the first branded mid-market hotel in the area, the project will connect directly to Dubai Festival City Mall. Meanwhile, Dubai-based real estate investment firm, First Group, broke ground on its fourth hotel in the emirate, Millennium Place JVT Dubai. Located in Jumeirah Village Triangle, the four-star hotel is scheduled to open in 2019, with Millennium & Copthorne Hotels, the international hospitality group, appointed as its operator. Hospitality giant Rotana has already embarked on its ambitious mission of operating 100 hotels by 2020, with the opening of 16 new properties by 2017. The group’s ongoing strategic growth momentum will include the opening of five new properties in the UAE, four in Saudi Arabia, two in Turkey, two in Iraq, and its first development in Muscat, Oman. Not to be outdone, global players like Nikki Beach Hotels and W Hotels and Resorts are also making fresh inroads in the region, with a number of GCC-bound hotel properties either under construction or in the planning stage. According to a report from BNC Network, commissioned by The Big 5, the UAE leads the booming hospitality and leisure-recreation market in the GCC. The combined value of the region’s hospitality, leisure, and recreation sectors is currently estimated at $178.8bn, but this figure is expected to rise in line with increased tourism, a growing population, and global events. More than 200 hospitality and leisure-recreation projects, worth at least $100m each, already exist in the UAE, with a combined value of $83.8bn. All rights reserved to the initial publisher for lighter side of hoteliermiddleeast.